Fashion designer Oscar de la Renta was born in the Dominican Republic, but the world was his palette. Spain, Russia, China and Japan inspired his extraordinary designs currently on display at the Museum of Fine Arts, Houston. André Leon Talley, a former Vogue magazine editor, narrates the audio tour describing Oscar de la Renta’s career including interviews with the designer’s clients. He is “the master of ruffles,” notes Talley describing his flamenco-inspired gowns. Former First Lady Laura Bush wore his outfits often. The audio tour describes a red lace suit she wore to an event. When two other women attended wearing the same dress, the former First Lady discreetly changed into another outfit. The beaded and embroidery ensemble, below, was worn at a state dinner at the White House. 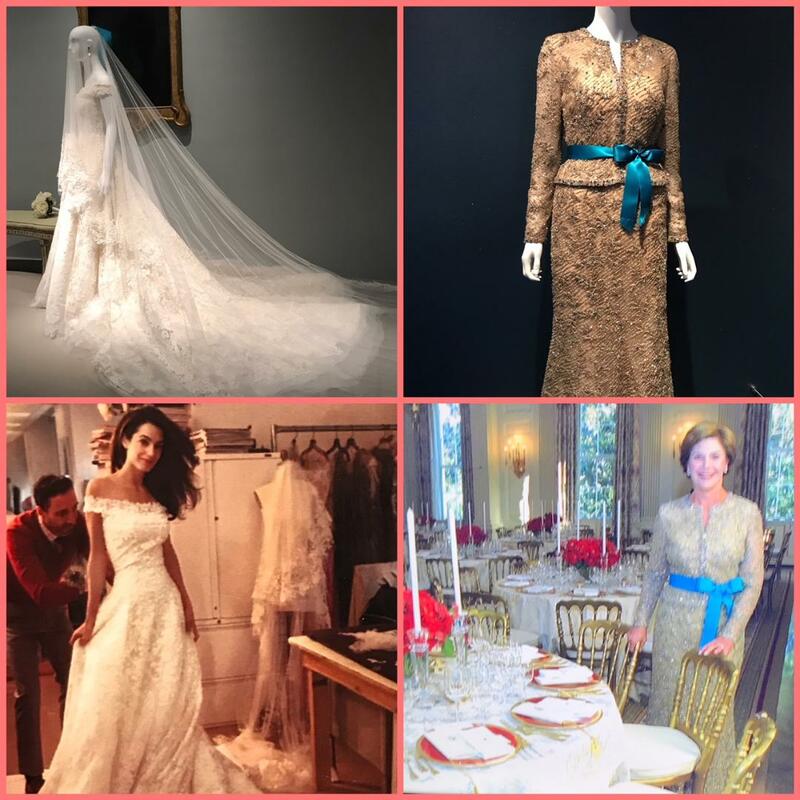 De la Renta designed Amal Clooney’s wedding which she loaned to the museum for the exhibit. The off-the shoulder silk and lace gown is exquisite. 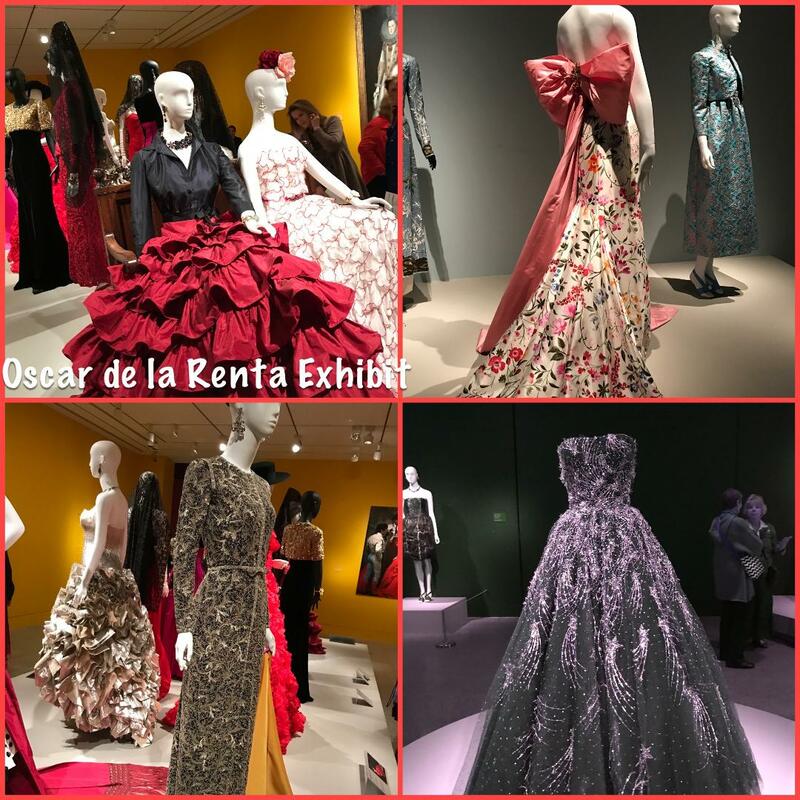 The exhibit is aptly titled: The Glamour and Romance of Oscar de la Renta. His creations are amazing. So elegant and classic!